Heat oven to 300°F. Heat 4- to 5-quart ovenproof Dutch oven over medium-high heat. Rub chicken with oil, and season with salt and pepper. Add half of the chicken pieces (skin side down) to Dutch oven, and cook, without moving, 4 to 6 minutes or until skin is browned and chicken releases easily from surface. Remove chicken from Dutch oven, and place on plate. Repeat for remaining chicken. Pour off drippings from Dutch oven. 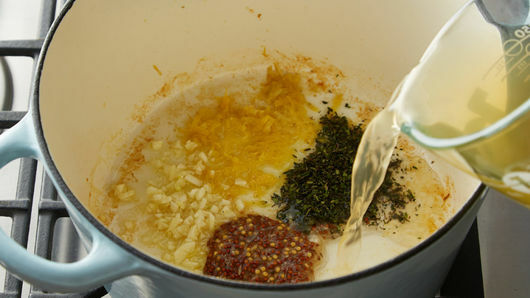 Add chicken broth, 2 teaspoons of the grated lemon peel, the lemon juice, mustard, thyme and garlic; cook and stir 1 to 2 minutes, scraping up brown bits. 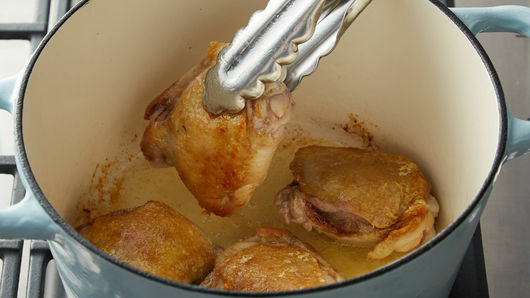 Remove from heat, and return chicken to Dutch oven, skin side up (along with any juices that may have accumulated on plate). Cover; place in oven. Bake 1 to 1 1/2 hours or until chicken is very tender. 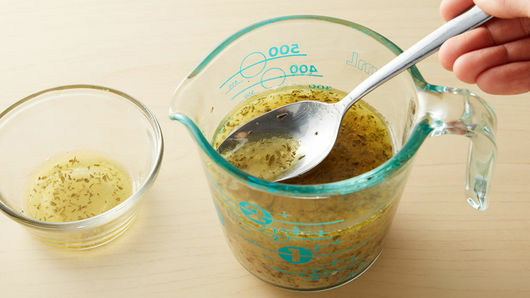 Remove chicken to serving platter; transfer broth mixture to 2-cup glass measuring cup. With spoon, skim fat from top of broth mixture, and discard. Serve chicken with broth mixture; garnish with remaining 1 teaspoon grated lemon peel and the parsley. 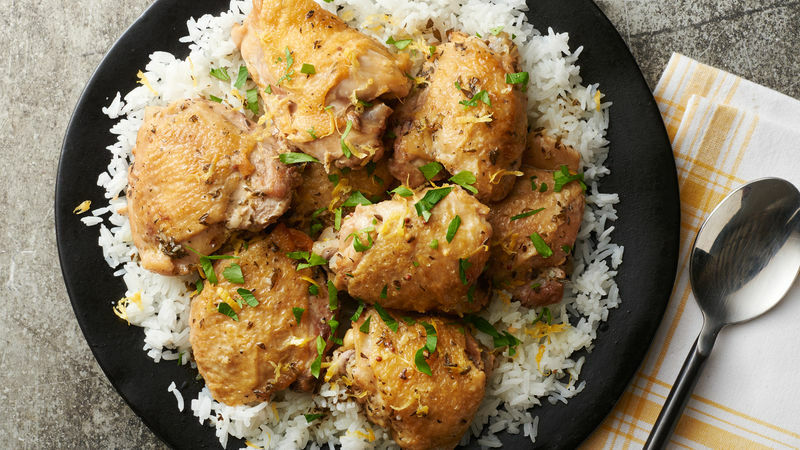 This is great to serve with a side of cooked rice to help soak up the tasty lemon-infused broth. Serve with a side of asparagus or green beans for a complete meal.